Miramontes Capital | How Can You Minimize Taxes On Your Retirement Income? How Can You Minimize Taxes On Your Retirement Income? 22 Feb How Can You Minimize Taxes On Your Retirement Income? Posted at 12:57h in tax planning by Brett F.
When you pay taxes while you are working, it does not seem like such a big deal because you have a consistent paycheck coming in to balance what is being taken out. When you retire, however, taxes become more of a headache. This can be a scary thought if you are hoping to put as much of that money as you can toward your new lifestyle. While you cannot get rid of taxes entirely, there are ways to minimize their impact. The first being the location of your investments. Where you put your investments has an impact on how much you pay in taxes. 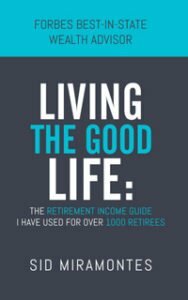 For example, Traditional IRAs, and most qualified retirement plans are taxed as regular income, while Roth accounts are tax-exempt. The order in which you withdraw from your accounts also makes a difference. Following a specific order will help you avoid fines and higher tax payments. Doing things in this order ensures you take out all your MRDs that are required for traditional and Roth 401(k) plans and traditional IRAs if you are over 701/2 years old. When you withdraw from this account, you must take out a specific amount to avoid a penalty. If you do not take out your entire MRD, you will likely have to pay a fine, which is typically half of what you were supposed to withdraw. Next come your taxable accounts. Start taking out of these accounts once you have taken out of your MRD, or if you are not yet 701/2 years of age. You can continue to take out of your taxable accounts until you have completely exhausted them. Using your taxable assets for retirement withdrawals leaves your money in tax-advantaged accounts that can potentially become tax-deferred accounts. If you have used up your assets in your taxable accounts, go to your traditional, tax-deferred accounts. Withdrawals from these accounts will require you to pay an ordinary income tax, but you will be leaving your Roth accounts alone, which can be beneficial to you later in retirement. This is because qualified withdrawals will not be taxed. FOR MORE HELP REGARDING HOW TO MINIMIZE YOUR TAXES IN RETIREMENT CONTACT MIRAMONTES CAPITAL. 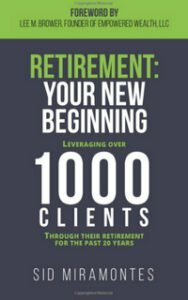 Schedule an in office or over the phone consultation to discuss how Miramontes Capital can help you with your new beginning through retirement planning.